AAVIN Milk recruitment 2017 has revealed on their official website. Now, its easy to apply for this recruitment for 10 Technician, Junior Executive & Extension Officer Vacancies. Want to apply for this recruitment? Find more details below. Aavin is the trademark of Tamil Nadu Co-operative Milk Producers' Federation Limited, a Tamil Nadu-based milk producer's union. 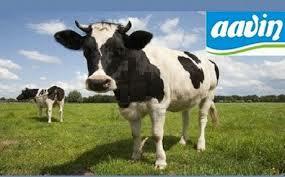 Aavin procures milk, processes it and sells milk and milk products to consumers. The Dairy Development Department was established in Tamil Nadu in the year 1958 to oversee and regulate milk production and commercial distribution in the state. The Dairy Development Department took over control of the milk cooperatives. It was replaced by the Tamil Nadu Cooperative Milk Producers Federation Limited in the year 1981. On February 1, 1981, the commercial activities of the cooperative were handed over to Tamil Nadu Co-operative Milk Producers' Federation Limited which sold milk and milk products under the trademark "aavin". Tamil Nadu is one of the leading states in India in milk production with about 14.5 million liters per day. Fee charges: Applicants who wanted to participate for AAVIN Milk should pay the below charges through Demand Draft drawn in favour General Manager, VIRUDHUNAGAR DCMPU and payable at Srivilliputtur. Applicant can send application form along with self-attested Xerox copies of all certificates send to The General Manager, Kancheepuram – Thiruvallur District Cooperative Milk Producers Union Ltd. No.55, Guruvappa Street, Chennai – 23 on or before 31.10.2017.